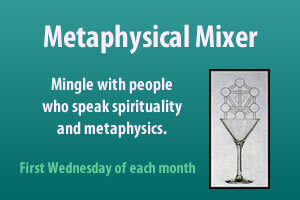 The Blue Sky Ranch Metaphysical mixer has been going strong for over 13 years! Currently located in North Park, this is a social event that brings together like minded people in a happy hour setting. Come by and get a tarot reading or bring your own cards too! And please feel free to ‘Like’ Blue Sky Ranch on Facebook.